Have you tried the latest trend in yoga? Goat yoga is here and the Mt. Madonna Y can’t wait to host you! Join us for our first Goat Yoga event, brought to you by Original Goat Yoga and sponsored by Guglielmo Winery in Morgan Hill! Ages 8 years and older are welcome! $10 wine tasting available at the door through Guglielmo Winery! **Parking will be available at Live Oak High School student parking. 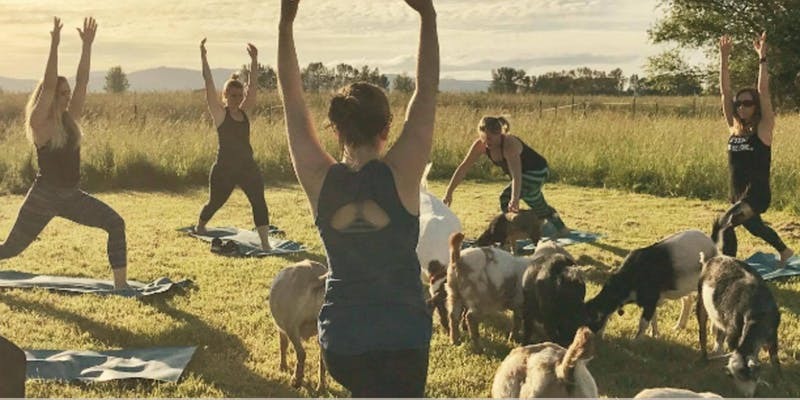 Space is limited, get your tickets here https://www.eventbrite.com/e/goat-yoga-with-the-y-tickets-58877145126 now!